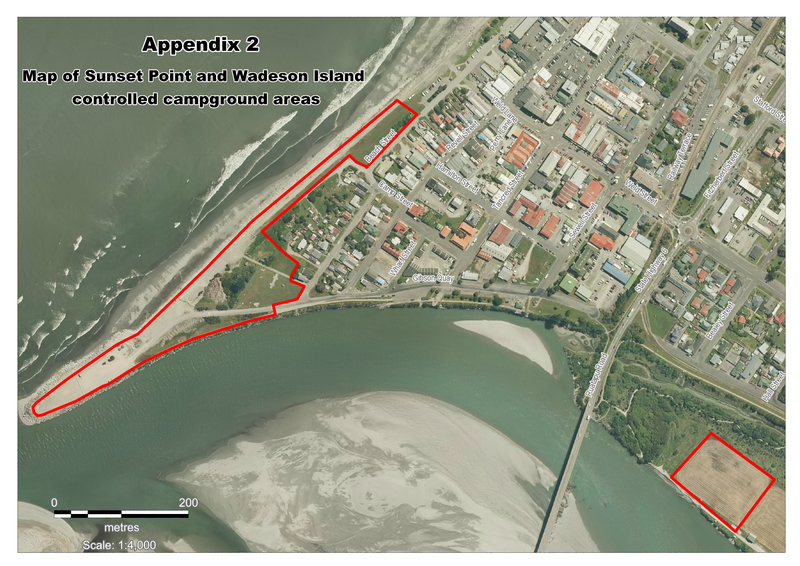 Pursuant to Section 151 of the Local Government Act 2002 and Clause 4.1 (b) of the Westland District Liquor Bans Bylaw 2007, the Westland District Council resolved at its meeting of 25 January 2018 to exclude the controlled campground areas of Sunset Point and Wadeson Island from the list of ‘Specified Places’ to which a liquor ban applies from 6pm on the Friday before the Hokitika Wildfoods Festival until 8am on the Sunday thereafter. The map of these areas is available below and at the Council Customer Services Centre at 36 Weld Street, Hokitika. Any of those two areas not hosting a controlled campground area will still be subject to the liquor ban. The officer for enquiries is Jim Ebenhoh, Group Manager: Planning, Community and Environment, ph 03 756 9035. Information on the Wildfoods Festival Liquor Ban Exemptions resolved at the 25 January 2018 Council meeting.